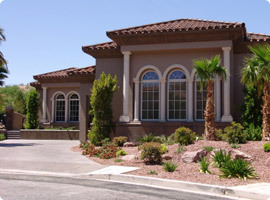 You don't want to gamble on your dwelling the way you might wager on other things at the nearest casino, and that's what Nevada home insurance is all about: protecting you from risk. While the state has had one of the highest rates of foreclosures on mortgages in the U.S., that won't affect your premiums. The affordable prices of real estate offset any risk that insurers might ascribe to what one too many of your neighbors may have done with their personal finances. In fact, another family's financial missteps might have become your recent gain if you've only recently purchased a home. Those quick-moving sales of dirt-cheap real estate are the work of Nevada banks trying to recoup their losses on seized properties. You are financially savvy if you caught one of those short sales, as realtors like to call them. Your spending intelligence earns you brownie points with the all of the professionals involved in financing your home buy. The property price is cheaper, plus the mortgage interest rate is near record lows and that could also lower your insurance premiums. 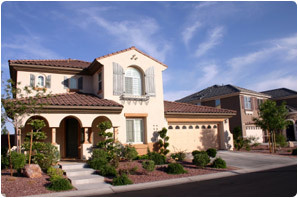 The average premium for Nevada home insurance is about a third of a typical monthly mortgage payment in the silver state. What items are exceptions to the standard policies, and what are the options for supplemental coverage? Depending on what part of Nevada you live in, you might want to add coverage for earthquakes, flood damage or termites, but the prices depend on the likelihood the phenomena might occur. Sure, there are parallels between insurers' ideas about risk management and Nevada's biggest industry. But there's nothing fun about putting your home security on the line – you've got to play it safe. Insurance protects you, your loved ones, and your belongings from losses.